EDGE can attach photos and files to certain EDGE data sections. If an EDGE section supports photos and files, a dedicated column for photo-related operations will be available. The numeric value on the cell represents the number of photos or files associated with that specific data row. Click on the cell of a specific row to open the File Manager. Here images and files may be added, previewed, and removed. Additionally, the information that will map to DT_FILE may also be edited in this interface. •For handling of image files attached to EDGE EDDs, save the EDD as a *.zip file before it is transferred to other computers. This will ensure that the image files themselves are included with the data tables in the *.zip package. This is done in one of two ways. ▪Click Save As and select "EDD package (*.zip)" as the file type. •Setting the Default EDD Save Type in EDGE Options to "Zip" may be useful. •For SPM users, the EDD row needs to be present before Photo Manager can be used. 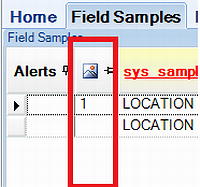 This means that the fields held as required in that table must be populated. 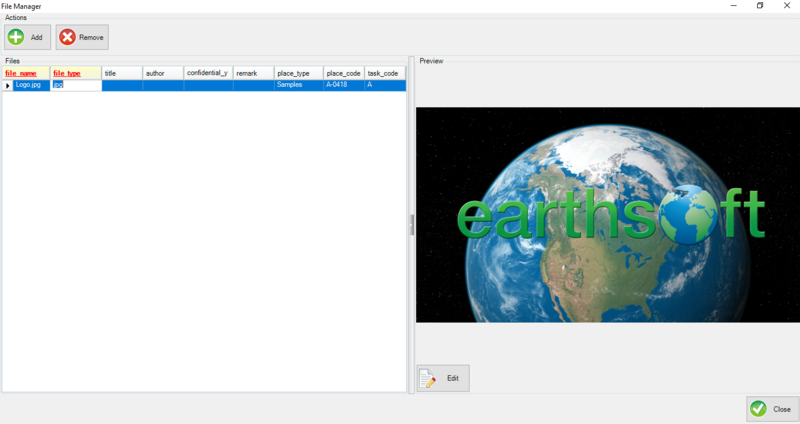 Refer to the Understanding the EDGE Format Configuration File or Configuration Plugin Tool articles for directions on how to add the photo column to format sections.